Homelessness is a stark reality in Liverpool. Do us a favour: look up on your way into work… you’ll notice that it’s a problem that is becoming starker with each morning. We decided to ask The Whitechapel Centre – the leading homeless and housing charity for the Liverpool region – if homelessness is a problem that really is getting bigger and what we can do to help alleviate the worst kind of consequence. By Matthew Crist. Homelessness is a problem sitting on all of our doorsteps. Two separate incidents highlighted this recently. Firstly, in the most tragic of circumstances, a young man who had been living rough on North John Street died of hypothermia after a bout of cold weather. Meanwhile, Councillor Frank Hont courted controversy around the same time, when he claimed that people shouldn’t give money directly to those on the streets. What should we do, then, Frank? Is homelessness in our city on the rise? Should we give our spare change to the people we see on the streets? What is being done to help those who find themselves homeless? Has there been a recent increase in the number of homeless people in Liverpool and, if so, what do you think is causing those increases? We have certainly seen an increase in the number of people who are sleeping rough and we are working very hard to get more people indoors. The most common cause of homelessness is relationship or family breakdown – but we are seeing an increasing number of people with mental health issues, debt, unemployment, loss of benefits and addictions. Councillor Frank Hont said instead of giving cash, people should make donations to charities in order to make a difference. Is this something you agree with? We don’t want to tell you what to do with your money. It can be very difficult to differentiate between people who are begging and those who are genuinely homeless. We are out on the streets every day speaking to people and know that some are accommodated, but spend their day on the street. It’s human nature to want to help someone you see on the streets and giving money directly may help someone today, but it doesn’t necessarily change their situation. Supporting charities like us means that we can provide long-term, meaningful help, so that person no longer has to spend time on the streets. What support can The Whitechapel Centre offer somebody that is on the streets? The centre is open 365 days of the year providing daily advice and support to meet the needs of people who are rough sleeping, living in temporary accommodation, sofa surfing, living in squats or living in their own independent accommodation, but struggling to maintain it. We provide a range of different projects and services, including housing advice, welfare rights advice, street outreach, resettlement support, learning and enablement activities, housing support/floating support and supported accommodation. These services ensure that anyone who finds themselves homeless today can access and receive the right support immediately. Anyone coming into our centre today will receive a warm welcome, access to showers, fresh clothing and hot food – but we offer much more than that. We run daily activity sessions to teach life skills and build confidence and self-esteem. Every person’s needs are assessed and we offer accommodation on the same day, with a range of options, depending on the individual circumstances – including supported or shared accommodation, private rented flats, returning to a former property through discussions with the landlord and hostel beds. We work closely with agencies around the city to help people access medical help, mental health services and detox/rehab facilities. The Whitechapel Centre is obviously not a new organisation, then? We began in 1975, in a building on Whitechapel, to meet the needs of homeless people in Liverpool. This is still our main aim and we are committed to it… but we have learned a lot since then and face many new challenges. We are continually adapting and our mission is to prevent and resolve homelessness, social exclusion and housing poverty by providing practical, realistic, tailored support so that each person can find a route out of homelessness or maintain a home and achieve their individual potential. Could you possibly give us some numbers and facts to paint a picture in our mind’s eye? Last year we worked with 2605 different individuals, all of whom were homeless, in housing need or otherwise socially excluded. Through our advice and support services, we were able find the right accommodation for 1174 homeless people and prevent a further 948 from becoming homeless. We’re open every day of the year and it is worth pointing out that summer is often our busiest period – homelessness can happen at any time. You ask people to let you know if they see somebody sleeping rough. Does this mean you have a team of people working around the clock? We do. The centre itself is open from 8am to 8pm and provides immediate access to housing advice and support: if someone finds themselves on the streets today, we can ensure a solution today. Alongside this, our outreach team are on the streets early in the morning and later in the evening, looking for people who have newly arrived on the streets and don’t know where to go… or working with people with more entrenched lifestyles and complex needs. We have staff working overnight, covering emergency bed access, and the ‘No Second Night Out’ campaign – which is designed to provide a safety net to catch people before they have to sleep on the street. And you operate purely on donations alone? No, we also receive funding from a number of sources – including local authorities and grant-making organisations like Comic Relief, Big Lottery Fund and Lloyds Bank Foundation. These funders cover specific projects and some staff salaries, but we are working with an ever-increasing number of people and rely on support and donations from the public to enhance our services, meet the growing needs and provide food, clothing and toiletries for our service users. Financial donations underpin everything that we do and we are very grateful for the support we receive. Roughly how much does it cost to give somebody shelter for the night and a hot meal? It really depends on the type of accommodation we can secure for an individual and in most circumstances we are able to claim housing benefit to cover it. Our meals are prepared by volunteers and use food which has been donated… although we do have a small budget for fresh fruit, vegetables and perishables. Do you see the same faces time and again or is there a diverse range of people on the streets of Liverpool? We see a wide range of people, with all sorts of housing problems and difficult personal circumstances. For some, we can offer a very speedy solution – such as housing advice which provides the stepping stone into the right accommodation – for others, with more complex needs, it can be a long process to gain their trust to engage with us and to encourage them to come indoors. Many homeless people have serious complications in their lives, such as mental health issues or addictions. There are many reasons why someone becomes homeless and everyone’s journey out is different. Dealing with all of that must get tiring. How long have you been personally involved with The Whitechapel Centre? For over 11 years… I began back in 2004. I had experience working with individuals suffering from severe and enduring mental health problems, after a family member was diagnosed with schizophrenia. Working for Whitechapel opened my eyes to the number of homeless people who had fallen through the net due to losing touch with family and friends, so, in 2008, I became the outreach manager and I now head up the urban outreach team of six people: three full time rough sleeper outreach workers, two street drinker outreach workers and one hospital outreach worker. What are the challenges really like? We respond seven days a week to calls from the general public, carrying out early morning, evening and weekend outreach and respond to calls from the public reporting people who are sleeping on the street. 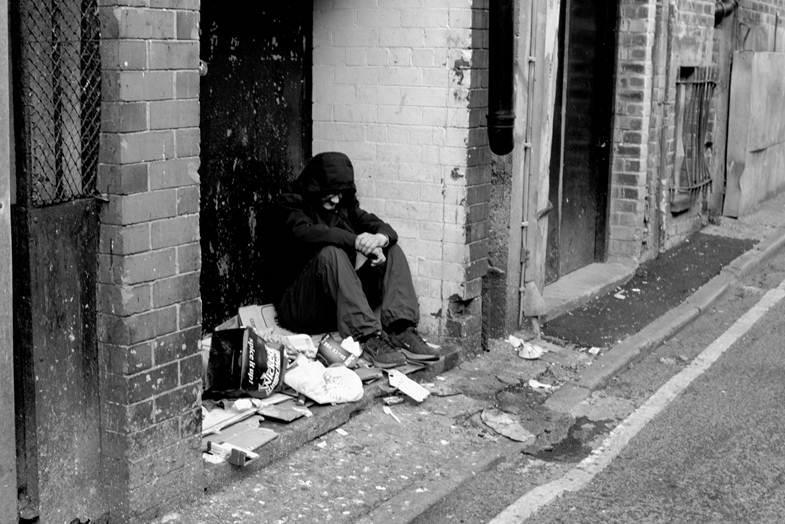 We then carry out assessments on the street and can support people directly into accommodation or treatment services. Our hospital outreach worker visits the Royal Liverpool University Hospital and offers support to patients who may not have accommodation on discharge from hospital. We also work with the medical team at the Brownlow Group Practice and the Homeless Mental Health Team. How can we help The Whitechapel Centre to continue the great work you do?